Jeffrey Alan Marks Collection. 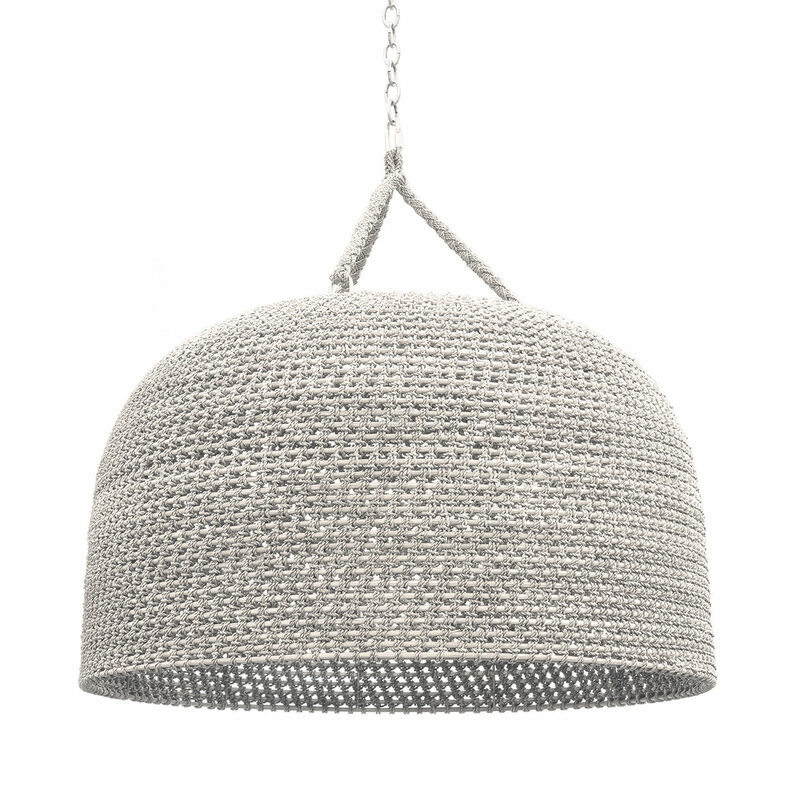 Oversized pendant intricately woven with a core rattan frame accented with abaca rope details in white sand finish and three braided hangers. Pendant is complete with a nickel finished chain and canopy for hanging kit. Professional installation recommended.